Today, we’ll learn a little more about this town and its influence in the whaling world. The Quakers on Nantucket launched the organized industry of whaling, taking the offshore adventuring and evolving it into years long voyages funded by and profiting onshore ship owners. But with its island location, Nantucket had a little problem; the whale oil had to be sent to the port cities for refinement, candle-making, and sale. And the shore-bound merchants got to set the prices while the Nantucketers made the best of the situation. Also, as time went on, the Quaker whaling “dynasties” of Nantucket got clannish; they didn’t want outsiders coming into their whaling livelihood and rising to power and fortune. By the 1760’s a few Nantucket Quaker men were tired of dealing with the mainland merchants. They wanted to make better profits. They started talking with some other fellows in the whaling industry from Newport, Rhode Island, who felt the same way. These wanna be rebels left their original homes and headed for a port village called Bedford. They brought their whaling secrets and the gumption to start their own whale oil processing on the mainland. Within a few decades, they had built their own ashore industry for handling and selling the whale oil their ships brought back…and their own merchant and transportation system along the colonial coast and in Europe. It was already a port city and established town before the whalers arrived. Sitting almost directly south of Boston and southwest of Plymouth, the community grew up along the Acushnet River. Multiple little “townships” were in the region, and the early colonial pursuits were agrarian. By the mid-18th Century, Bedford Village had started off-shore whaling and had begun to join the maritime commerce world as a port for merchant ships. 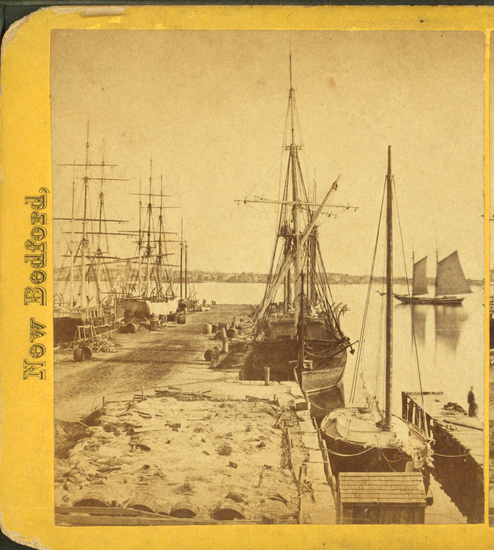 Around the time that the whaling Quakers arrived in New Bedford, some enterprising locals had already established a ship yard. The town was ready for innovation and growth, having a good geographic location and the beginning trades and shops necessary to support a major maritime business venture. Expanding markets after the war offered new opportunities for the industry. And the whaling fleets circled the globe while the merchant ships kept busy transporting the whale oil, boning, and candles. In 1838, New Bedford got a railroad that came straight into town, allowing for better transportation, distribution, and the arrival of new crews right from the farm country. By 1857, the New Bedford and its close sister towns owned about half of all the whaling ships in the world. That year 9,700 mariners were at sea on the New Bedford region ships – about 447 ships of varying sizes. 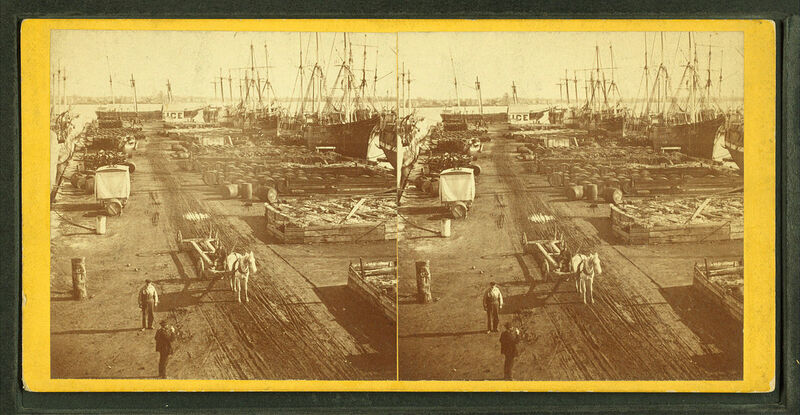 The market was booming and the New Bedford kept sending ships to sea to make a profit. Sure, New Bedford had some off-shore whaling going on prior to the arrival of the venturesome, “rebellious” Quakers. 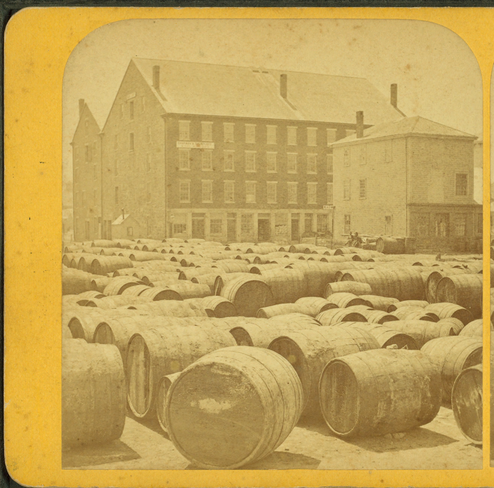 But it was the arrival of the Quaker families from Nantucket and Newport that skyrocketed New Bedford’s industry. They brought the “know-how” skills of voyage whaling, financial backing, business knowledge, and work ethics to the community. This foundation carried through the town’s history of the whaling industry and remained key to their successes. Apparently, those arriving families brought the best that they’d learned from their original ports and took it a step further with the development of their own processing systems and facilities for the whale oil. New Bedford and Nantucket weren’t the only towns involved the whaling industries in the United States. Boston and most of the other major port cities in the northeastern region had whaling fleets of some size. New Bedford had the largest during the “golden age” of American whaling, but she wasn’t the only town sending ships and men to sea in pursuit of the whale, barrels of oil, and bundles of whale bone. P.S. If you’re ever in Massachusetts, stop by the New Bedford Whaling Museum! It’s on the top of my list of museums to visit next time I’m in that region.